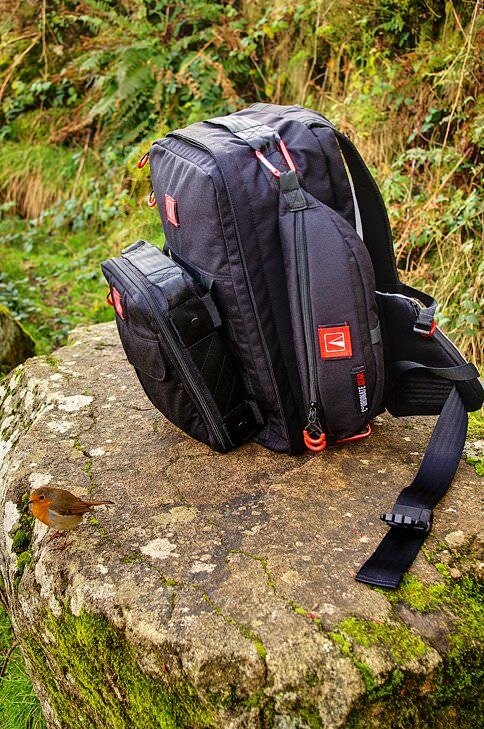 Phil Hemsley reviews the CoOrdinate Gear - Modular Camera Bag system, in this guest review. 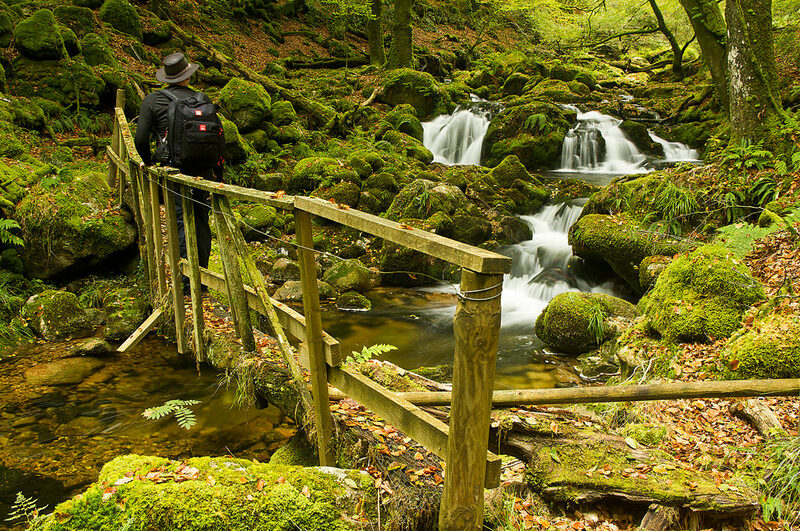 Guest Review by Phil Hemsley - CoOrdinate Gear have, for the last two months, very kindly given me the opportunity to 'field test' the entire range of their cleverly-adaptable, modular camera-pack system. Fundamentally, my reviews have aimed to be factual, unbiased and honest - I would like to mention that I have not been sponsored by CoOrdinate Gear. 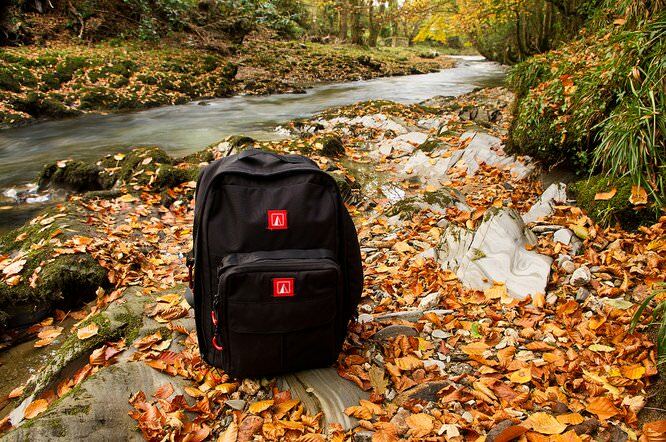 The company has designed and produced a unique set of bags; an adaptable-system that caters for photographers needs when circumstances change, and they have to travel further-afield. Such journeys require careful thought when expensive, camera equipment has to be carried and protected from scratches and bumps. 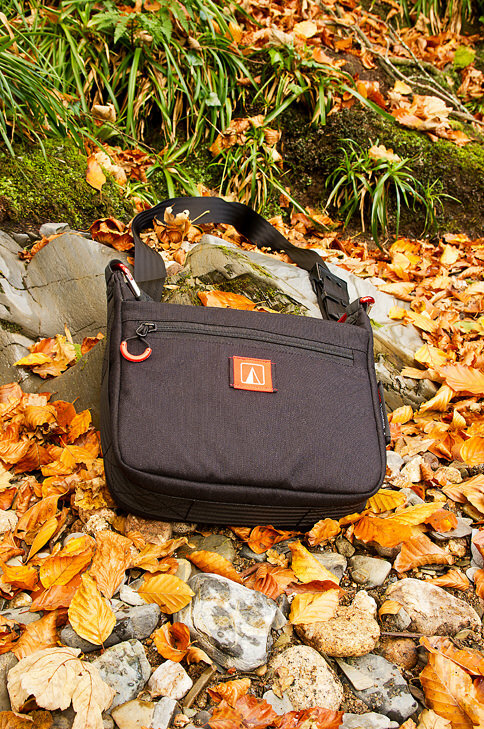 EXPLORER - Stylish and versatile messenger bag that makes it easy to carry a camera with you all day, everyday. 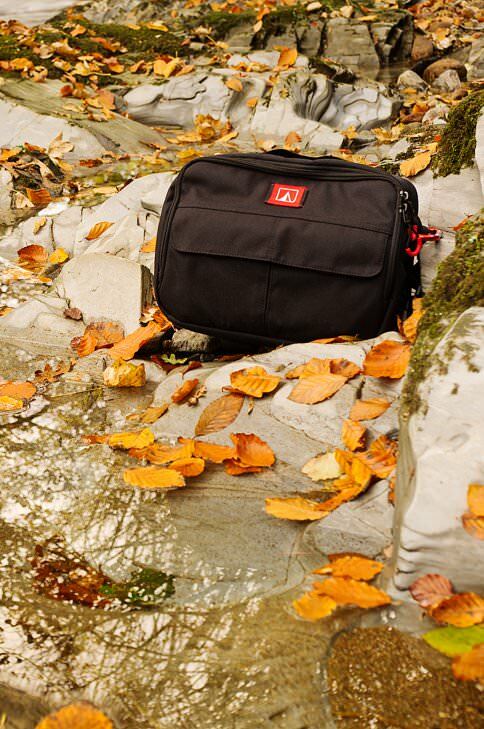 Converts to a great everyday commuter/ messenger bag, big enough to carry your daily items including iPad or Tablet. The EDITOR, EXPLORER, NOMAD and SCOUT can be used separately by means of attaching the removable, shoulder straps included in each unit, with the application of pairs of included karabiners. This idea greatly increases their versatility. The SCOUT lives up to its name and offers the chance to do some "sketch" photos with a compact camera, once on location. The procedure is as follows: unclip it from the PIONEER, add the included strap/ karabiners and explore the creative possibilities, nearby, without the added burden of having to carry all your equipment around. Look for accessible and potential possibilities as you study the surroundings more intimately until you are satisfied with your search. At that point, use the main, backpack full of kit when you need it for your chosen compositions, with the use of your main camera. The Scout is also good for taking a Go-Pro or Drift camera along on your adventures. The RANGER bag would easily hold two full frame Digital SLR cameras (each with a moderate sized lens attached) and several lenses, flashguns, a light meter, tripod head(s), battery grips, chargers, portable hard drives, etc. The padded Velcro dividers allow a flexible set-up inside the Ranger and it could easily work for photographers who use medium format/ large format/ panoramic film cameras. Dive camera housings up to a certain size could also be housed in the Ranger too. The military grade Coorditech material (1000 denier polyurethane coated waterproof nylon) of the exterior of the modular bags is impressive in its hard wearing nature and water repellance. 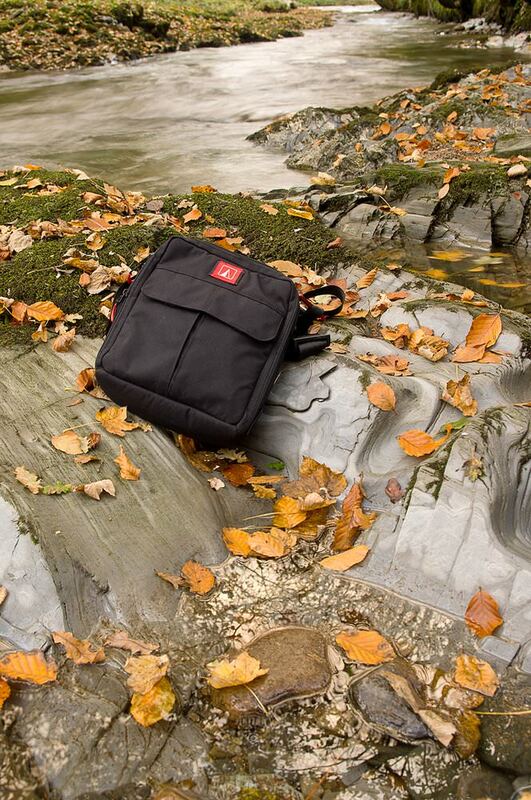 The exterior is a very durable material, which again instils confidence that these bags are designed to last a long time - against the rigours of exploring the great outdoors. It gives great confidence for outdoor photographers indeed; I have been out in some heavy rain showers with the bags and have not yet felt the need to use the rain cover (supplied with the PIONEER rucksack). The 10mm of the padding used in the PIONEER backpack, is one of reassurance and attention to necessary- requirement detail. The padding-finish creates a strong sense of security in the knowledge that your camera(s) and lenses are well protected from bumps and scrapes on your journeys into the wilder landscapes. The comfortable zip-puller loops add an element of luxury for the user's needs and in turn, demonstrates the designer's ability to concentrate on such requirements. The interior surfaces are made from Ripstop nylon which again give strength, durability and further water repellance. The moleskin texture in the larger pockets of the insides of the Pioneer and Editor Bags is a welcome surface for things such as laptops/ notebooks, filters - things that you want to avoid getting scratched. The designs are understated, maybe the designer's intention was to avoid the possibility of alerting would-be thieves to become attracted to an 'expensive-looking' bag - containing costly, camera equipment? * A suggestion for future versions would be to make the rear surface of the Pioneer (that sits against your back) either black or charcoal, as in its light grey colour it shows up dirt quite easily if the bag is rested on wet ground whilst on location in the great outdoors (photographing in an urban area is unlikely to present this issue). ** A further suggestion for the evolution of the product is the addition of a removable neoprene/ foam pad grip to wrap around the webbing handle loop on the top of the Pioneer or Ranger. Both packs are capable of carrying a heavy load of photographic gear, and the comfort of picking the bags up from this top point of the webbing would be much improved (it is not uncomfortable, per se, in its current construction though). The vast offering of pockets is a generous and welcome feature of the modular system - plenty of space for Graduated, ND Standard and Polarizing filters; Ordnance Survey maps; SD cards; lens hoods; filter holders; spare batteries; light meters; lens cloths/ blowers; etc. One suggestion for a future evolution of the bags would be the addition of some small, clear-plastic windows on the top of each accessory pocket. This effective idea should allow the owner to write the contents on a card label that can be slotted-in at the front of each window for quick access to the contents. The user could then quickly identify the various components in the bag(s). For example, when landscape photographers wish to capture a scene in transient light levels, they could more easily find the right filter(s) as the light levels change. Most serious photographers would like to know they can quickly find spare SD cards or spare batteries quickly too. you also have the Scout (if you want to explore / sketch ideas with a compact) and Nomad options - if you want to go out to a location with a smaller amount of kit. There are numerous camera-bags available in the UK but CoOrdinate Gear has something exceptional to offer, especially when capacity and volume are paramount and need to be addressed. For example, a large amount of photography equipment can be comfortably positioned, and the roomy, robust bag provides ample room for clothing (waterproofs / fleeces, etc), maps, food and water on longer journeys into the hills, mountains and remote coastal areas (using the Pioneer and Nomad and Editor). On close inspection, the fabrication quality is impressively demonstrated in the use of strong, seat-belt grade webbing straps that point to a reassuring sense of confidence in the product. When the bags first arrived, I had the opportunity to speak to Paul, at CoOrdinate Gear, regarding their camera-pack system and found it reassuring to hear him talk about the company's ethos of not cutting corners with the materials they use. 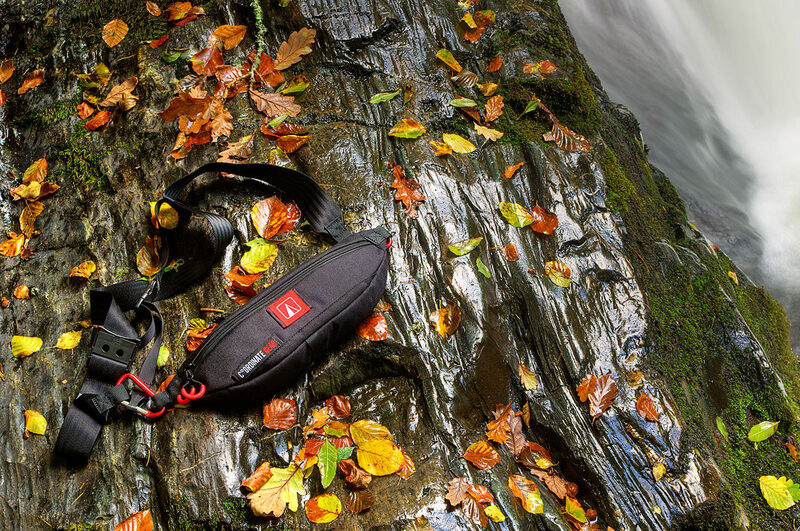 He wanted to make bags that could endure the demands made by Outdoor & Adventure photographers when it's necessary to take their apparatus to a variety of environments where they spend time looking for opportunities to capture their imagination. It was refreshing to talk to Paul because he wholeheartedly promoted a product that contained equal measures of quality, design and versatility as well as taking the cost into account. These suggestions I have made for future versions of the bags, are ones of subtle improvements that could be made to what is essentially a brilliant and outstanding design - one that will doubtless meet the needs of any photographer of any genres of interests in their photography. There are merits, of various combinations for those wishing to carry a lot of bits of photographic kit on their journeys. I would highly recommend the CoOrdinate Gear Modular System of bags to any photographer who is keen to carry their precious equipment in tough, comfortable and brilliantly designed bags into any terrain. The bags are available directly from the CoOrdinate Gear website.